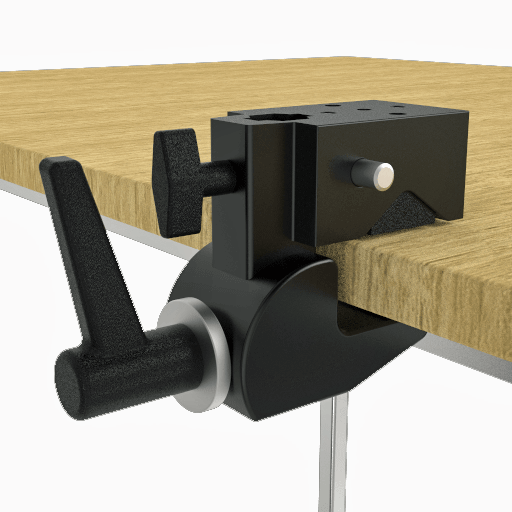 Table-top mounting system. 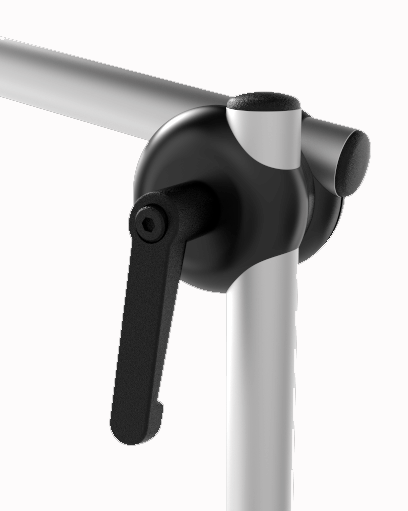 Composed of a versatile SuperClamp base and two tubes. 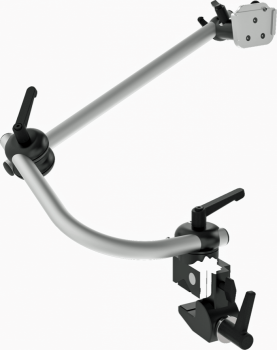 Very flexible with QuickShift levers for quick and easy adjustment. 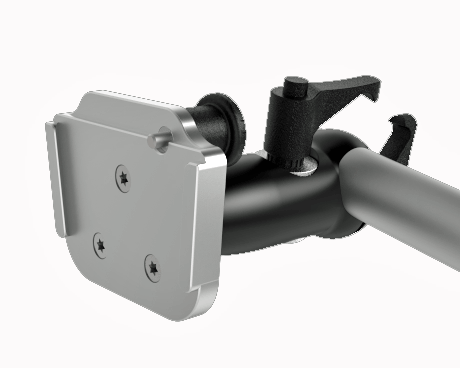 Includes Universal Device Socket (UDS-22-DC). With double clamp. 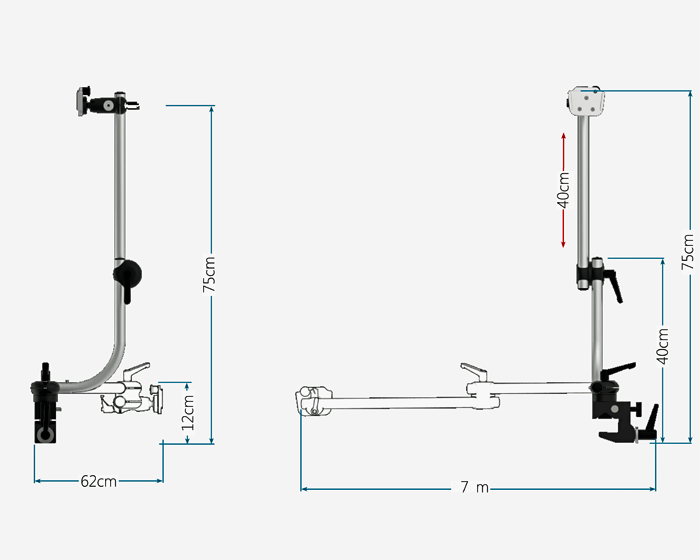 Width (B): 62 cm | 14.4"
Length (L): 67 cm | 26.3"
Height (H): 12 - 75 cm | 4.4" - 29.5"
Device height (D): 75 cm | 29.5"
Tube 2: 40 cm | 15.7"
Weight: 1.5 kg | 3.3 lbs. Load capactiy: 5.4 kg | 11.9 lbs.